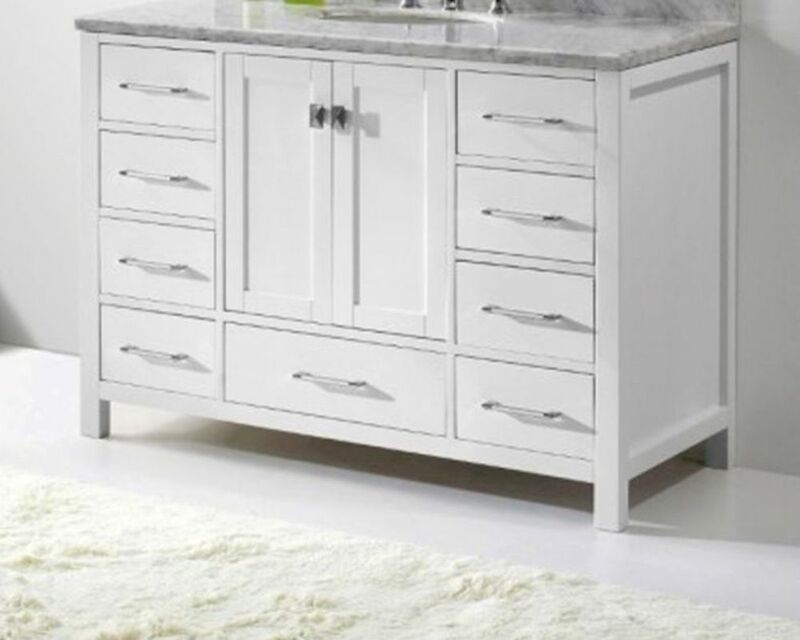 The Caroline Avenue series is designed with a bold clean style and built with strong, top notch materials including designer brushed nickel hardware. 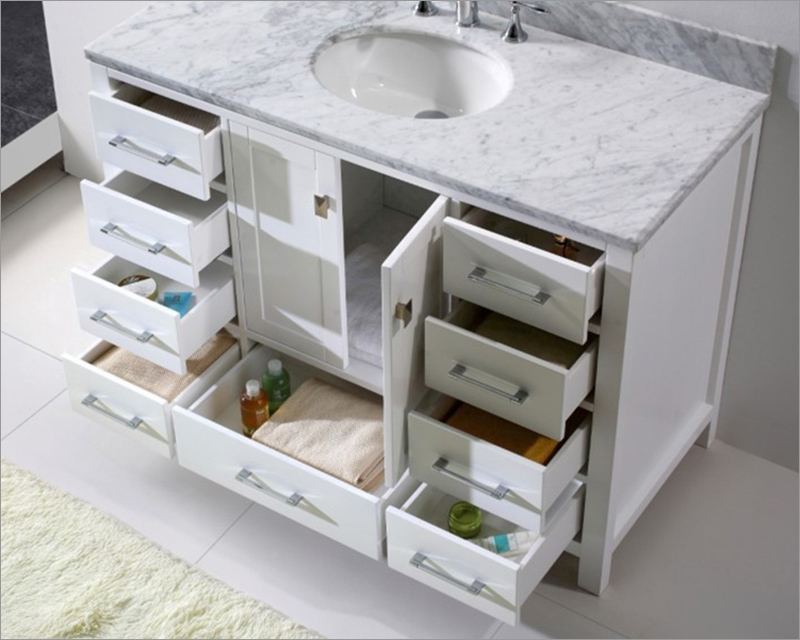 It offers an abundance of storage space and state of the art technology with its soft closing doors and drawers. 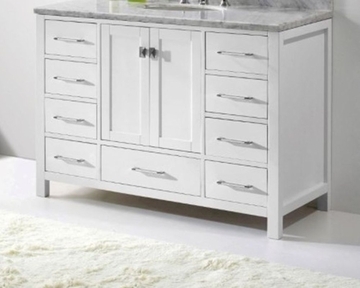 Featuring a zero-emissions solid oak wood with an elegant white finish that will last for years to come. 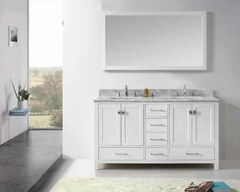 With this vanityÍs 1 inch countertop edge thickness Italian Carrera White Marble countertop, it will be more durable and resistant to mishaps.